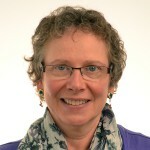 Susan Palisano Biography | Connecticut Center for Advanced Technology, Inc.
Susan Palisano has served as director of education & workforce development since 2005. She has more than 23 years of experience in both public and private sector information technology and education, and has an extensive background in best practices and policy, teacher professional development and adult learning, curriculum, and grant proposal development and project administration. At CCAT, she heads a team that implements innovative programs and initiatives to develop and support today and tomorrow’s skilled, educated and vital STEM workforce. Before coming to CCAT, Palisano held several educational leadership positions, including director of instructional technology for Hamden (CT) Public Schools. While in-district, she worked directly with teachers and students to provide strategies, vision, and direction for the successful use of technology as an instructional tool; developed a context-based K-12 curriculum, and introduced inquiry-based and real-world simulation math and science initiatives.